Do any of you guys have any advice on making the transition from just a normal Rifleman to an Airsoft Sniper? Currently I just go to skirmishes at my local site and use my AEG which is fine, don't get me wrong, but I've always been interested in the way a Sniper/Marksman operates in Airsoft and I would like to try it out and make a slight transition into it. However, I do not own a Sniper Rifle and I would need to (obviously) if I were to make this transition; so what would you guys recommend as a starting Sniper Rifle (looking in the range of no more than £175 currently) and do you have any tips/tricks of the Sniper's trade? Thanks for any help, Hav0c. Sweet mother of GOD, do NOT get an SW-10 like I did. It's not bad performance wise, but the internals are awful. Doubles and even triple feeds at times, and, like most Snow Wolf rifles, have been prone to an apparent "slamfire" problem, which happened to me (luckily my current one seems to have avoided it). Unfortunately selling this rifle is pretty much impossible because no one is stupid enough to buy it, so my only choice is to pay for some serious overhauls to it's internals. My suggestions are probably Tokyo Marui VSRs, their FPS out the box is quite low, but these rifles are very popular to upgrade, so finding better/spare parts for them is a doddle. If you're looking for a L96 type rifle, I'd go for the Well L96. I haven't heard of any problems with it, save for some reviewers complaining of the bolt handle being weak, and they're rather popular choices. My only tips are if you're using an out of the box spring sniper in a skirmish, don't expect it to be vastly superior in terms of range over AEGs. Use it to pick off enemies in normal ranges, don't sit back and just potshot with .20 gram BBs from 80/90/100 metres. 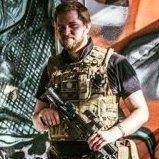 It's like Ed put it in another thread, most snipers are not actually effective as long range weapons until they are well upgraded, so don't quite expect to be Vasily Zaytsev when you first get one. My main tip, be patient and shoot only when you have a clear shot and you KNOW you are going to hit them. If you are unsure if you are going to hit them, don't take the shot. Unless you are well hidden and concealed, the chances are, they have an AEG and sh*t is about to get real. lol. Did this so many times and almost every time, I ended with 4+ AEGs firing my way and being hit like crazy. However, if you are in a good spot, take the shot and you might get lucky. i'd recommend an L96 of some kind, simply because of their 90 degree sear set up. They are also highly upgradable and upgradable parts are very common, so if it goes wrong, theres your safety net etc. Thank you all, I shall take your advice into consideration. There are a few players at my local site who have a Well L96 and they have no complaints. I have read up a bit on sniping in Airsoft and even though you may play slower than the other players the rewards seem to be worth it (ie seeing someone flinch and yelp when a .36 slams into them). Thanks Nutster for the advice on using my AEG as a sort of DMR type weapon (I use a G&G GR4 G26) and only use it on semi. APS-2 Based systems are ideal.The Javelin M24 is pretty good,full APS-2 compatible,better externals than China clones.Well L96 is okay,externals aren't amazing but hold up for what they are,but it's a solid upgrade platform. I say learn to play the sniper/marksman role with an AEG(Might be hard) Tag along with snipers and be their spotter/helper,if they want to. Remember,being a sniper is more about using stealth and clever tactics,along with the small range/accuracy advantage over AEGs,at least in my opinion. Some people might say you need a 500 FPS Killing machine with fully upgraded internals to snipe well,I say it's all about the play style. I agree with you that playing style does massively affect how well you snipe, but after experiencing problems with double and triple feeding with my SW-10 at a skirmish today, the rifle without a doubt needs upgrading. EDIT: Actually, I might see what ASPUK can do for it. Feeding problems are probably due to crap design.Still,I highly recommend investing in a 90 degree trigger system,as I've said,the 45 degree system is unreliable. Every heard of the S-Trigger? Crap design is exactly that. This thing has by far the worst internals out of all the VSR clones. I wish I had known that when I bought it. As others have said, use an aeg in the role first. The vsr trigger set is fine till upgraded past 350fps or so, any higher then you'll need to start swapping out parts. Believe it or not,even the Marui VSR has sub-par internals.The piston is plastic,but the part when the sear catches the piston wears out very quickly,so I replaced the piston. The trigger sears are both very cheap & low quality and break easily.My trigger sear snapped in half! I spent about 150 euro on it,which isn't very much,but it did the job(Trigger mech was still a POS,).However,I was able to re-sell it for more or less the same price I bought it for,since for some reason Maruis have good resale value,coupled with the upgrades. I had a JG Bar10 GSPEC and it didn't even survive a whole skirmish, on a standard spring firing 380! It started slam firing just after half of the skirmish and well, the pot metal sears were torn apart. They looked as if they had been grinded off, I probably fired 200 shots and this was the result. I'd definitely recommend the 90 degree set up. Its the baseline reccomendation for any vsr. Get steel sears or buy a zero/V trigger. The latter systems are of course better but you can do a solid setup with just some shs steel sears if you need time to get the money. Or if there isn't a 90 degree trigger available to you, as with my sniper. Upgrading the sears is all I can do trigger wise. I recently purchased a new VSR with an S trigger( A custom 90 degree trigger made by some Slovakian or Serbian guy) and it works like a charm.Really high quality construction too,full steel except the aluminium casing. I'd recommend it greatly,it only costs 90 dollars,plus shipping.Way cheaper than the 200 dollar LayLax and PDI ones. Shame ARES did not go for full VSR or APS compatibility,really narrows down upgrading.Why couldn't they copy Marui's L96 AWS BB loading mechanism also? Ares being Ares I guess .Props to them fro *Trying* To be unique and not copying TM. Personally,I'd recommend an APS based sniping platform to upgrade from.APS systems have been out for a very long time(I think before the VSR system came out) Saves you more money as you can leave the trigger mech stock,maybe just replacing the piston sear.Upgrades for them are plentiful too. Because the tm loading mech is known for not being that good? Still better than the Ares mech. The TM one is not perfect either.The little bar used to feed the BB is cheap plastic & breaks easily. I wouldn't want a steel piece touching my BB's especially in a sniper rifle, any outside influence on them will have a negative effect. Id rather buy a new plastic one each time. Its hard to say if the ares is worse yet, it hasn't been out all that long and not many own them haven't seen any huge complaints yet either. Granted their msr system is ridiculous.